I have been using the Blackberry Passport for over a week now and I love this device. While there are still some missing apps that I’d love to have, most of them are just games that I can play on my tablet. Day 1 – Blackberry Passport Challenge – Accepted! Click here to get the BlackBerry Passport – Factory Unlocked Smartphone from Amazon with free shipping! The Blackberry Hub is awesome. It puts all of your messages and notifications in one inbox. 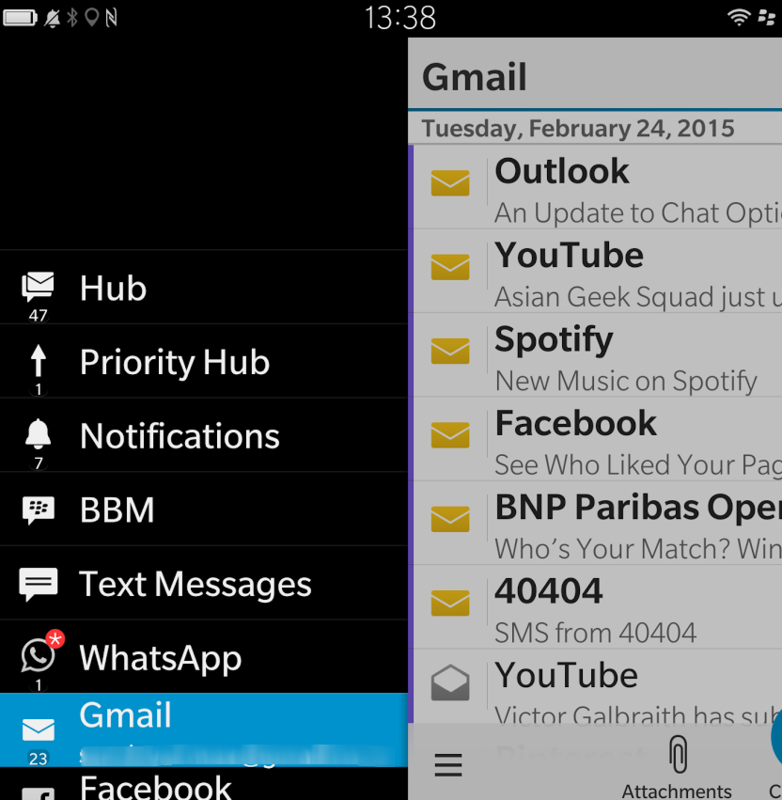 Checking your email, text messages, whatsapp IM, BBM, twitter mentions and more in one inbox. Also, there is a priority hub, mark certain people or topics as important and you’ll see them in this folder within the priority hub – perfect if you have 5-10 minutes in between meetings. Do you really want to open 4-5 apps just to get your important messages? I originally didn’t like the keyboard that much, since some of the keys are virtual, but now responding to messages is so much easier and faster. For me, adding the Spanish language was great, now I get predicative words in Spanish, when I start typing in Spanish. I’m surprised how much I would use the trackpad. This is probably my favorite feature of the Passport, while this isn’t exclusive to the Passport, (all BB10 devices), I am surprised how much I use this – specially since I am always on the computer. Blackberry Blend, on your PC or Mac, allows you to basically control your phone, respond to messages and more. I don’t always like the fact that I have to grab my phone to respond to a text when I’m working, but with BB Blend, I can just respond via the app and it sends the message! The Blackberry Passport is a beast, not to bore you with specs, but the two standout specs to me are the 3GB of RAM (same as the Note 4) and the large 3450 mAH battery – enough for 30 hours, though it lasts me about 2 days. Its nice to charge my phone every other day! 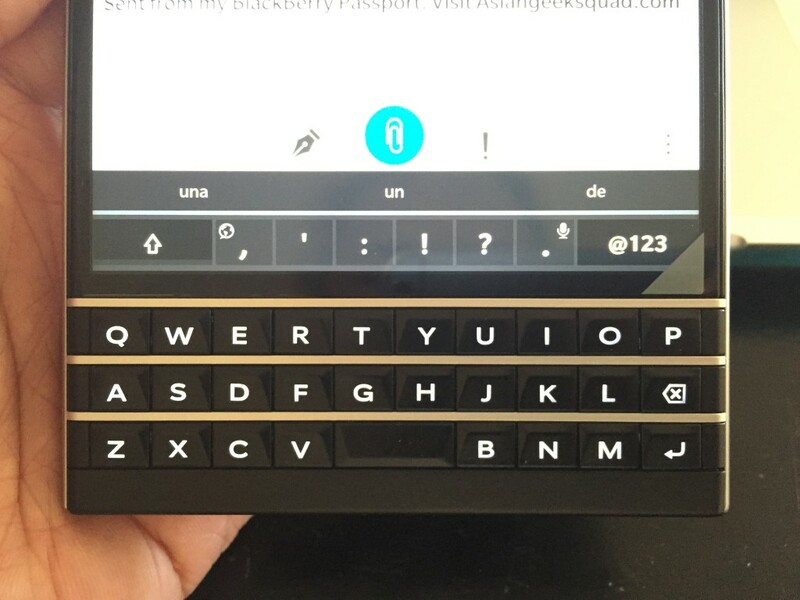 Stayed tuned for our next post: Must have Android Apps on Blackberry Passport! Ready to buy the BlackBerry Passport? Click here!